Lead poisoning in Detroit’s children had been declining year-over-year for more than a decade, but jumped nearly 28% in children under 6 who were tested last year. In fact, the city had 10 ZIP codes where at least 10% of the children tested had blood levels indicating lead contamination, with four of those areas showing 15% to 22% of children with lead poisoning, according to recently released data from the Michigan Department of Health and Human Services. Those ZIP codes were: 48206, 48214, 48202, 48204, 48213, 48215, 48238, 48203, 48211 and 48208. While some of the dramatic increase can be attributed to lead poisoning fears following the Flint water crisis — and more parents getting their children tested due to concerns about lead — the increase greatly exceeds the larger number of screenings. In 2016, testing in Detroit increased by 9.5% or more than 2,000 additional children. The highly publicized concerns over lead in drinking water triggered more parents to have their children tested, Thompson and other experts agreed. And the Detroit Health Department — following the city’s emergence from bankruptcy — began to actively test for lead and encouraged others to do so as well. “Which means that if we tested more aggressively, we would find a lot more lead-poisoned kids than we’ve been finding,” said Thompson, who has been studying lead poisoning in Michigan since 1999. 2016 data report when it is published. Of the nearly 160,000 children under the age of 6 who were tested statewide, 3.6% had elevated blood levels, a slight increase from 3.4% the previous year. The U.S. Centers for Disease Control and Prevention has established five micrograms per deciliter (µg/dL) as the level at which the CDC recommends public health actions be initiated. In terms of an overall rate, Detroit had 8.8% of children exceeding acceptable levels, compared to 7.5% the year before. Of the nearly 18 ZIP codes statewide that had at least 10% of children tested exceed those blood lead levels, 10 were in Detroit, according to an analysis of the preliminary data. ZIP code 49507 in Grand Rapids also was among the leaders in the state, with 15.3%. Although lead contamination in water has been a significant public policy issue since the Flint crisis, health advocates note that lead sources found in older homes are a much greater health threat. “Many people are unaware that lead exposure from dust in the house and soil in the yard is the culprit,” said Paul Haan, executive director of the Healthy Homes Coalition of West Michigan and gubernatorial appointee to the State of Michigan’s Child Lead Exposure Elimination Commission. Dust from deteriorating lead paint is a common problem in older homes. “I certainly think that when the tragedy in Flint happened there was a tendency to think that the issue of lead in water was the No.1 issue facing kids around the city, state and country,” said Mary Sue Schottenfels, executive director of CLEARCorps/Detroit. “But I think we’ve all gotten to the place where we realize that is not the No. 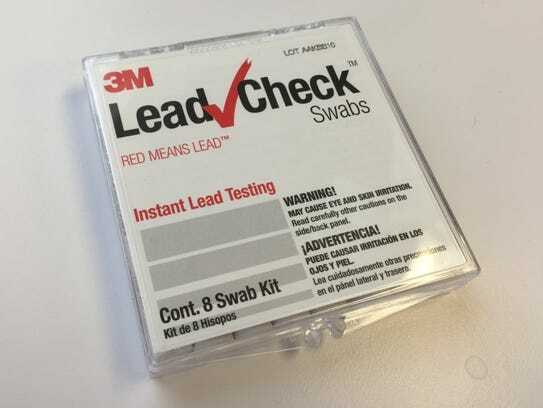 1 issue with lead that is affecting children. CLEARCorp/Detroit is a non-profit working to prevent lead poisoning and create healthy homes for children and families through programs, education and outreach, and policy work. “The long-term effects from Flint water issues probably won’t be known for years, but it has taken awhile for attention to return to the key issue of lead paint in older homes, which is being found in much higher levels,” Schottenfels said. “I think the housing stock is deteriorating at a rather fast pace. There aren't a lot of resources to help regular people fix up their homes, so things tend to continue to deteriorate." The city's Health Department is attempting to manage known cases of lead poisoning in children, providing home assessments and information for parents on early intervention. Referring residents who cannot afford it to publicly provided lead abatement. A recent amendment to the housing code requiring landlords to remove lead hazards. ClearCorps and Wayne State’s urban studies center have embarked on an initiative in ZIP code 48214 — which had the second-highest level of lead poisoning in the state at nearly 17% — to remove lead sources before children become sickened. Staffers are going door-to-door in the ZIP code, providing information for parents and offering safety inspections and materials to prevent health and safety problems, Schottenfels said. Also in 48214, which was the leader in 2015 for the percentage of elevated lead levels, there is an effort underway with the city building authority and health department to leaflet every house within 400 feet of a home being torn down as part of the city's demolition program, providing instructions for how to keep people safe as those buildings are destroyed. There are an estimated 8,000–10,000 such parcels, she said. Both Schottenfels and Thompson said they hope to secure additional grant money to expand abatement efforts into 48206, the area where 22.3% of children had elevated lead levels. “We think it is absolutely necessary to target these hot spots and get in there and provide families with protection and options for abatement and possibly options for relocation if they want it,” Thompson said.